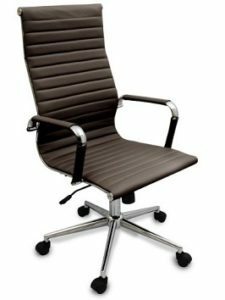 Looking For Best Conference Room Chairs with Wheels? 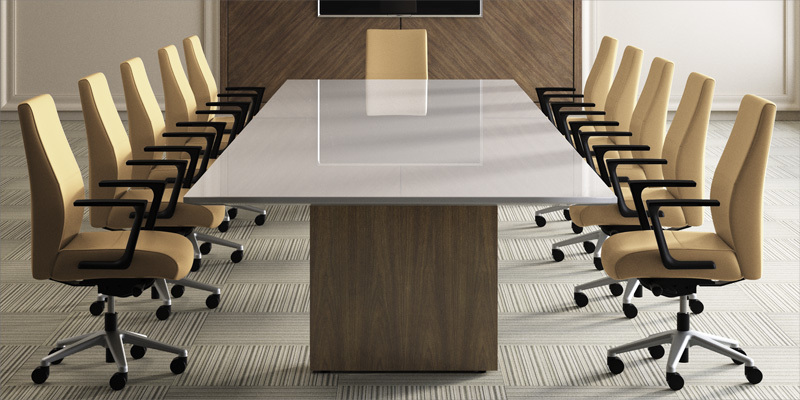 Why do you need conference room chairs with casters? Conference rooms are where brainstorming happens; heated discussions and conclusive decisions made. Different people with different body types and varying physical attributes come together and work. A lot is said; a lot listened to, all in sitting position for a majority of time. Shouldn’t such a place have chairs which are comfortable, supportive and if possible some mobility? The conference room chairs should be comfortable, allow the feet to rest on the ground and have a stable base which allows for free movement. What are the advantages of conference chairs with casters? Allows free movement in the room without getting up. Casters come in different designs; hence they can enhance the look of the chair. Damaged casters on expensive furniture can be replaced fairly easily without having to change the entire furniture. Bad choice of casters can inhibit the proper position of the chair with respect to the desk. Accumulation of dirt and debris in the axle reduces the movement of the chair. If the lock mechanism fails the risk of tipping over is high. Why are Conference table chairs with wheels a better option in the work place? Today’s lifestyle requires a majority of the working population to remain passive, spending a good deal of time in front of a computer on desk. This leads to various health problems. To counter these problems, we need chairs which come with adjustable back height, depth and good back support and mobility. 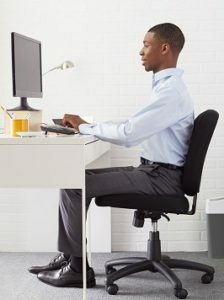 The addition of wheels to an ergonomic conference chair confers the user the freedom of movement across the office. When there is minimal effort involved to coordinate with people across the office floor, the productivity increases; nobody likes to leave the comfort of their seats to get things done. Now all you have to do is to wheel around wherever you want just like that. Are conference chairs on wheels cost effective? 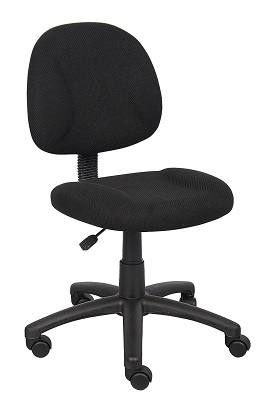 Conference chairs on wheels are priced differently for different makes and models. The price is often determined by the material used in the framework, the upholstery, the casters and additional features. On an average though, the normal chairs are available from $50 to $160, while the more luxurious one can cost anything between $400- $600. Buy something that is strong and can bear the weight you are going to put on it. 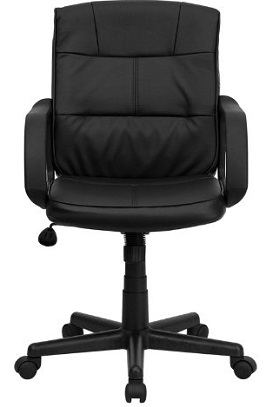 Which are the most popular types of Conference chairs on casters? 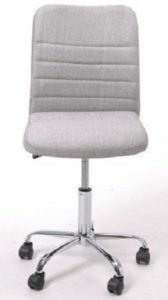 Mid back chairs: As the name suggests are designed to offer all day support to the lumbar region. 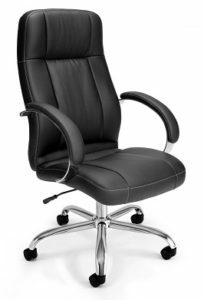 Executive chairs: They too are designed to offer full day support to the low back; in addition they also provide full back and head support. 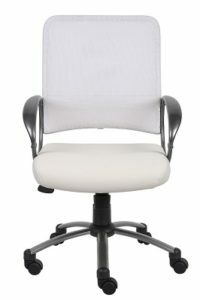 Task Chair: These are usually lightweight chair which do not provide any support but are more mobile. 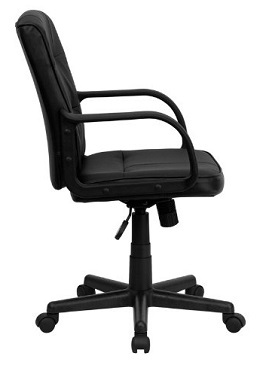 Quality and affordability are displayed by the Executive Office Chair in Ribbed PU leather from 2X home.You can swivel around between presentations to face the other members in the room, confident that the chair’s chrome base and 5 wheel casters support your every move and you will not be subject to embarrassing tipping over. Solid chrome base means greater stability. Tilt control with locking mechanism. Annoying squeaky noises with movement. Armrest though covered is not cushioned for a soft support. Most of the users are satisfied with the comfort this chair provides. They feel it is a good value for money. The pricing and the functionality have endeared this product to all its users. White is pristine and has a beauty which enhances the surroundings too. This Boss Mesh Back with Pewter Finish Task Chair does just that. Not only is it beautiful with its pewter colored arm rests but is also comfortable with adjustable tilt, height and ergonomically designed. Overall the users have felt that the chair is comfortable, classy and has a solid base. They have experienced good back support and sufficient cushioning. They feel this chair is good for the price and does what it is supposed to do. Gianni has come up with this sleek stylish high back chair which has sturdy chrome frame for the base and armrest. Specialized Duraskin makes sure that no hard surfaces poke you as it covers the sturdy frame. The modern ribbed stitching renders the chair a stylish look. Material that resist a wear and tear so durability that lasts. Can’t sit for long hours without feeling sore. Users feel it is stylish modern and easy to assemble though people have found sitting too long does give them some pain. People are pleased with the durability of the upholstery which reduces maintenance. 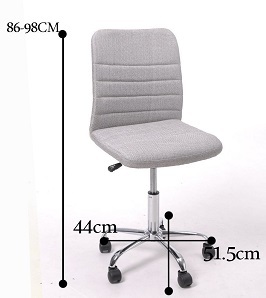 Should low back conference chairs with casters be your choice? 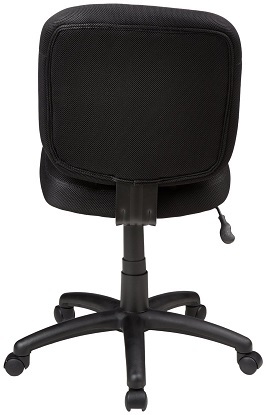 ThisAmazon Basics Low-Back Task Chair is ideal for home or office because of the convenience it offers. 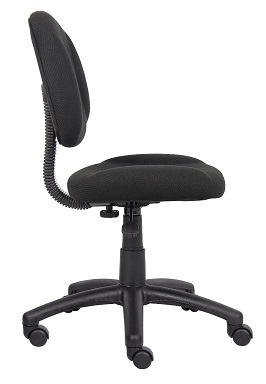 It has adjustable settings, supports the back and aligns the body properly thereby supporting long periods of sitting. The seat can be raised and lowered as need be. The fabric used is comfortable and durable offering breathability and comfort. Durable fabric which is comfortable to sit on for long periods of time. 360 degree swivel enhances multi-tasking. Nylon casters ensure smooth movement. The fabric material is rough to feel. The tilting mechanism doesn’t function properly. Several users are pleased with the ease to assemble and the comfort this low back task chair provides. 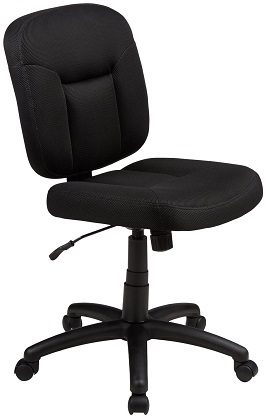 The ease that the 360 degree swivel brings to the chair is much appreciated. They are quite satisfied with quality and the price. 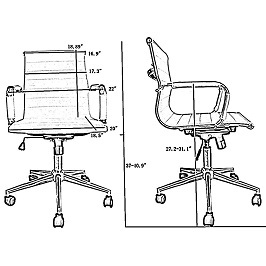 If you are looking for support right from the back of your head to your lower back then Green Forest Office Task Chair Mesh High Back is where your search should end. 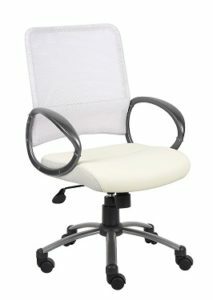 This product besides the said support also has 360 degree swivel which allow multitasking. 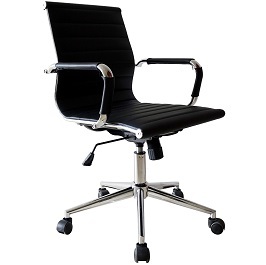 This chair adds a sense of style and modernity to your office and home. Sturdy chrome base and safe pneumatic controls ensure that you have a stable chair to sit on. It can withstand 300 lb. weight whereas the other models can withstand only 250 lb. Great customer service who will respond to your queries within 24 hrs. The instructions in the manual are not clear. The chair tends to flip over if the locking mechanism is not in kept on. There is no cushioning on the arms and head rest thereby one will have to endure the hard surface. 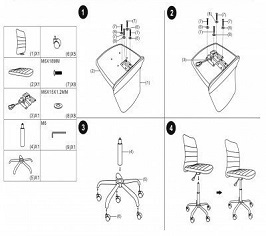 The conference chair is easy to assemble and no specific expertise is needed. 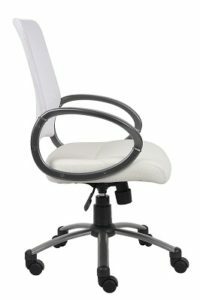 The chairs ergonomics are much appreciated along with the smooth movement of the casters and the minimal noise during use. Some wish to procure one more because nothing beats the amazing price of the product. The only grouse in the entire picture is the poor packaging and delivery of the product. 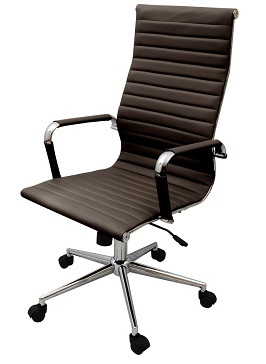 Are you looking for luxurious conference chairs with wheels? 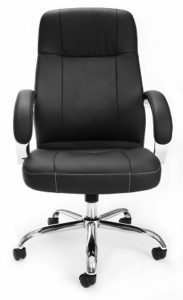 OFM Stimulus Series Adjustable Synthetic Leather Executive Chair with Padded Arms in black or chrome color is what you want. Thoughsynthetic leather has been used for the plush look, nobody will know if you don’t tell them. The cushioned arm rest and the comfortable lumbar support ensure that you back pain will never be an excuse for not working. 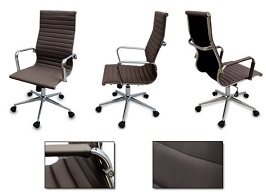 The great look, great feel and great price definitely work in favor of this conference chair. OFM offers a limited lifetime warranty on the chair. Carries the Greengard certificate for Low chemical emissions thereby ensuring indoor safety from harmful chemicals. There are no visible drawbacks to this product because it is relatively new in the market. It is relatively new in the market and the few customers who have used it find it a great buy at a great price. 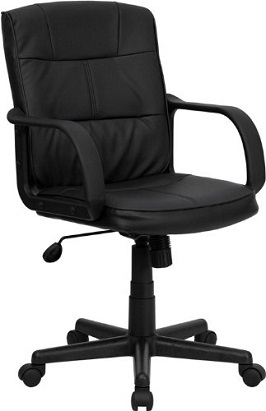 Are you looking forcheap conference chairs with casters for your office? 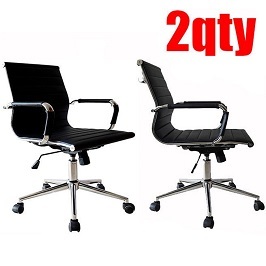 For the wear and tear of a regular office environment you need to buy chairs which are sturdy and durable at the same time economical.Mid-Back Black Leather Swivel Task Chair with Nylon Armsfrom Flash Furniture are budget friendly leather computer chairs which provide comfort and mid back support. Though low in price they are replete with all normal features like tilt control,height adjustment, and good base and soft upholstery. Leather and polyurethane have been used to improve the durability and softness of the upholstery. Fire retardant foam has been used for safety. The width of the seat is not sufficient for a big sized adult, though well suited for petite people and children. More cushioning required for better comfort. In general the customers are not surprised that decent quality is offered at decent price. They like the ease with which the whole thing can be assembled and upscale look of the conference chair. But big sized people have been unhappy with the size of the chair and its height from the floor which is just 23 inches. 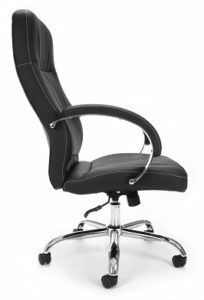 We Choose this Boss fabric Deluxe Posture chair in Black color as the best Conference room chair with wheels because of its in-built lumbar support and waterfall seat which reduces stress on the legs because it increases circulation in that area. 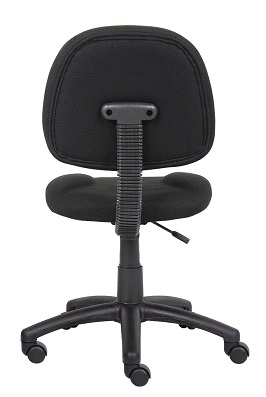 You can adjust the back height, depth of the seat and arm height for a comfortable sitting experience. Do not worry about the stability of the chair because the 5 star nylon base is sturdy and durable and provides a solid base which moves freely thanks to the hooded double wheels that allows smooth movement. Users have found that the chair is value for money. Its ergonomic design and the ability to adjust height and depth have been well appreciated. They find the chair padding provides ample support to the back. Users also say that it is compact and fits in snugly in small spaces. Users have found it to be easy to assemble and meets most of their requirements from a conference chairs with wheels.